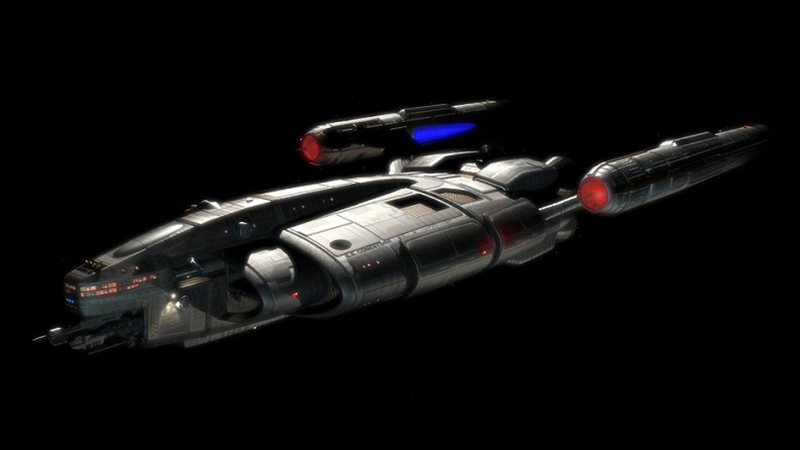 Notes: The S.S. Conestoga was Earth's first ship to colonize a planet out side the Sol system. It was launched in 2067; four years after Earth's first warp flight and discovery of the first habitable M-class planet, 20 light years from Earth. The Conestoga took a decade to reach the new planet, where it was disassembled to create the Tera Nova colony.